I would not have been near so late writing this blog, but for a Roy Rogers movie on RFD-TV! I couldn’t resist… dear ol’ Roy was my first true love! Sometimes those old movies just strike me as a simple joy. Amazing “cowboy” style in embroidered pockets, fringe, and rolled cuffs on jeans! Roy was a good hero to have… and I sometimes wish children could have simple heroes like him again… You are missed, Roy! Of a night wind, callin’. Beats a rhythm that is blue. A blue reflection on the moon. 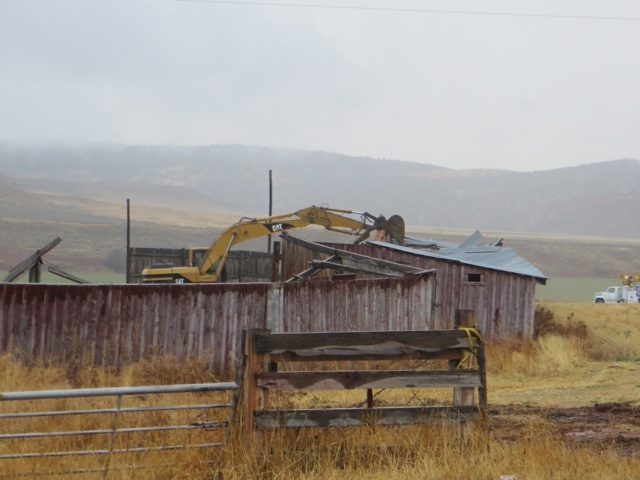 In other news… the shed is demolished in the middle of a rain storm… How sad it is… because I know what pride they must have had when it was built! October 23, 2008 No entry.